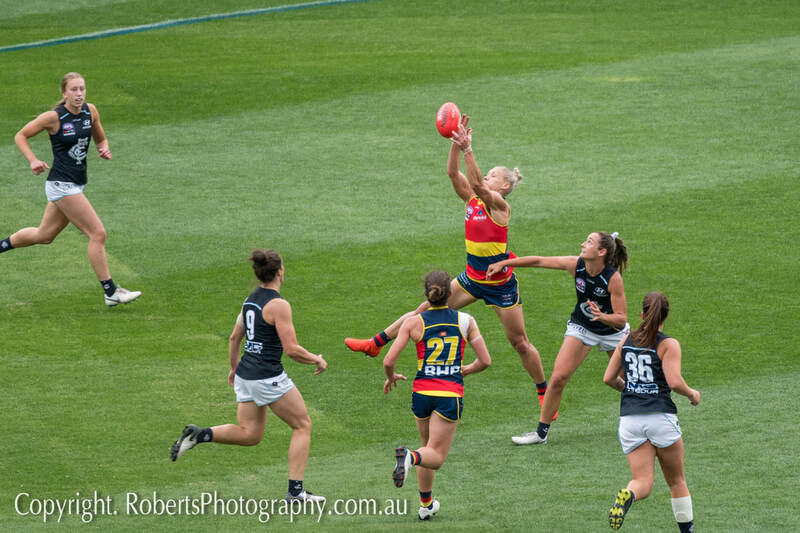 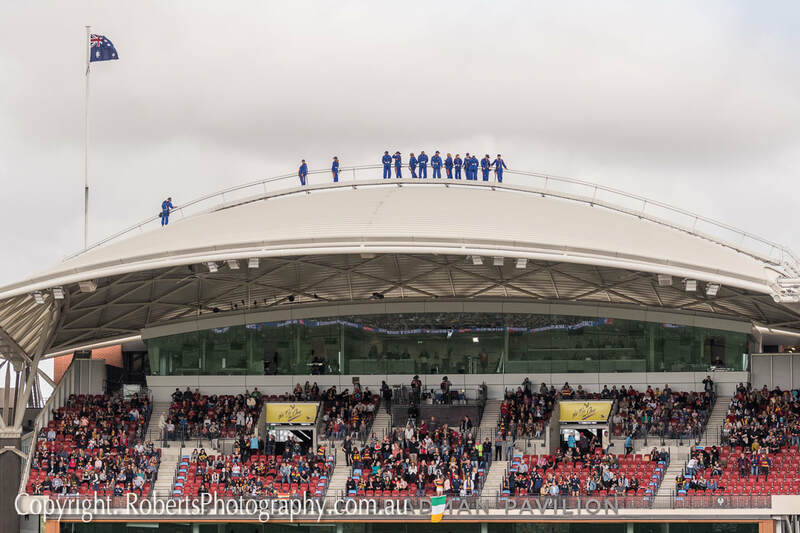 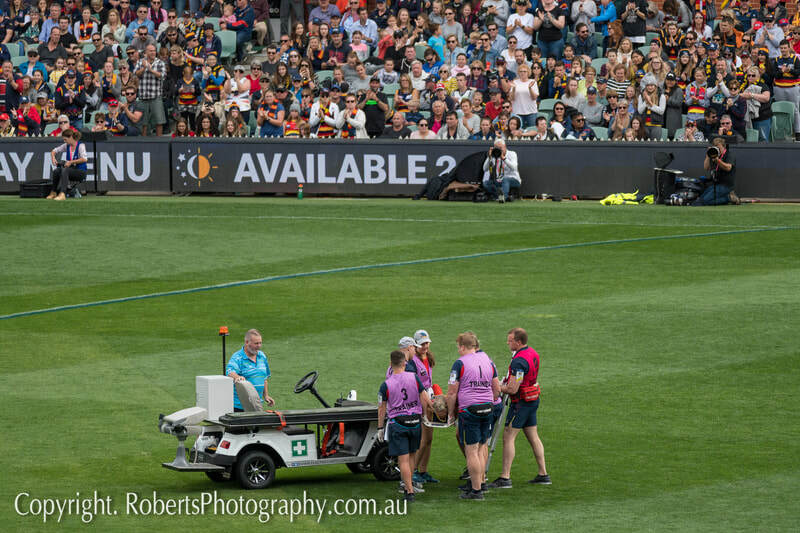 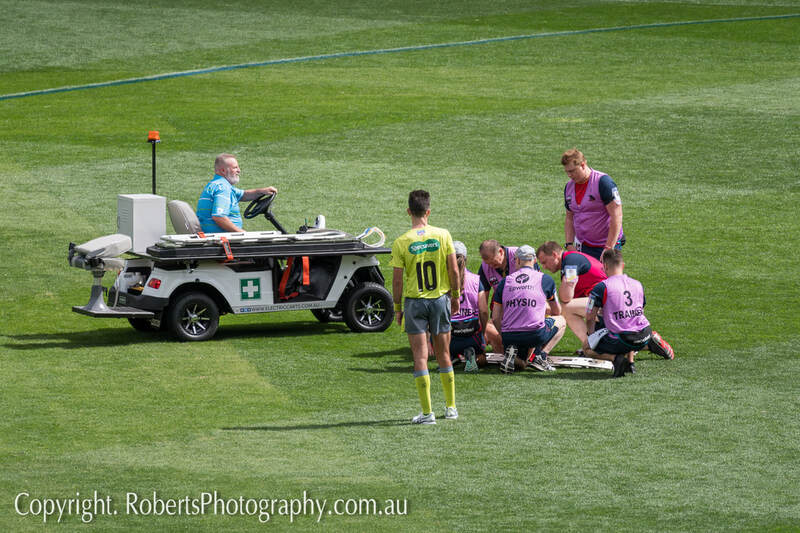 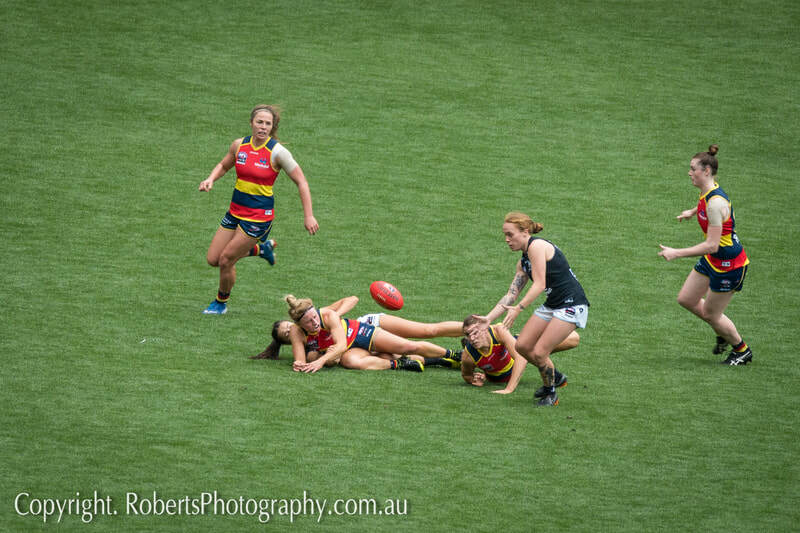 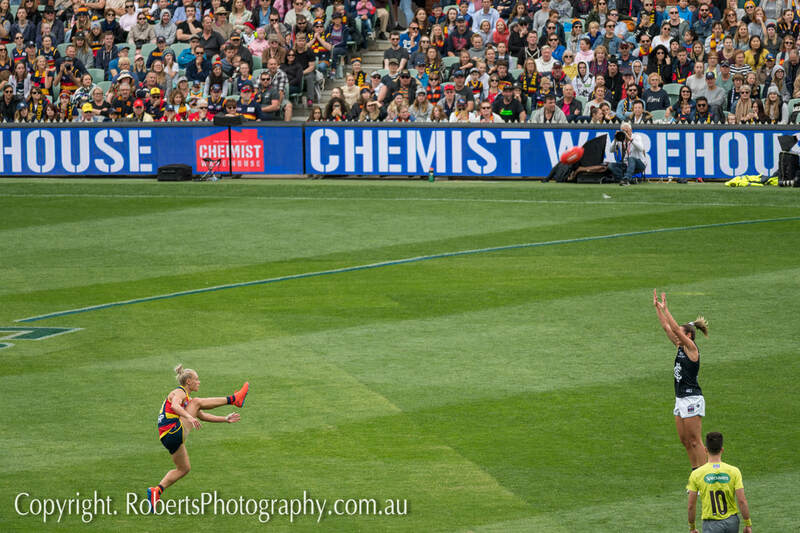 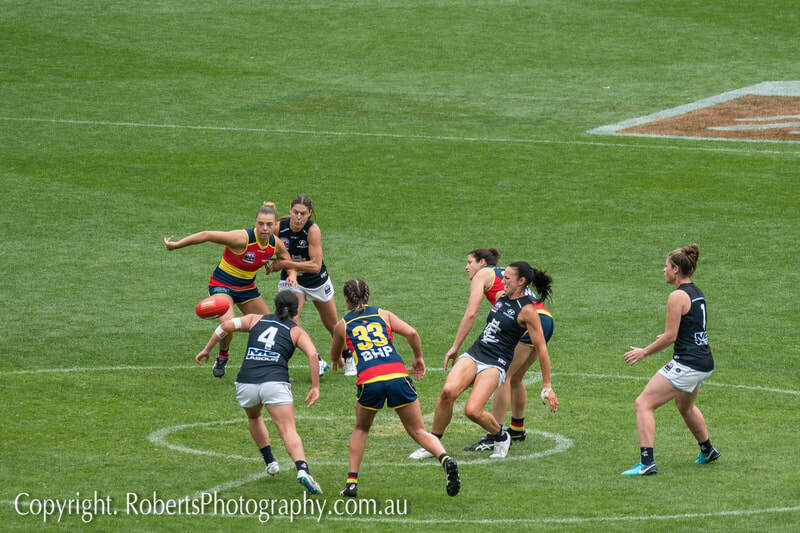 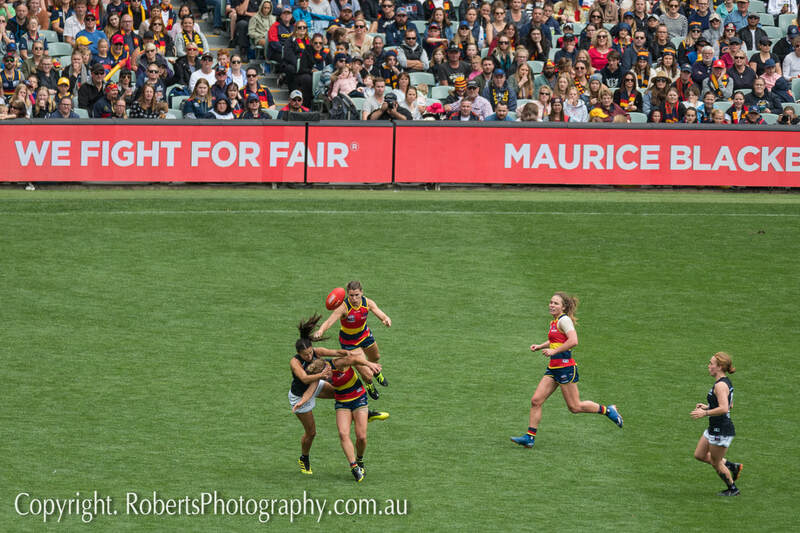 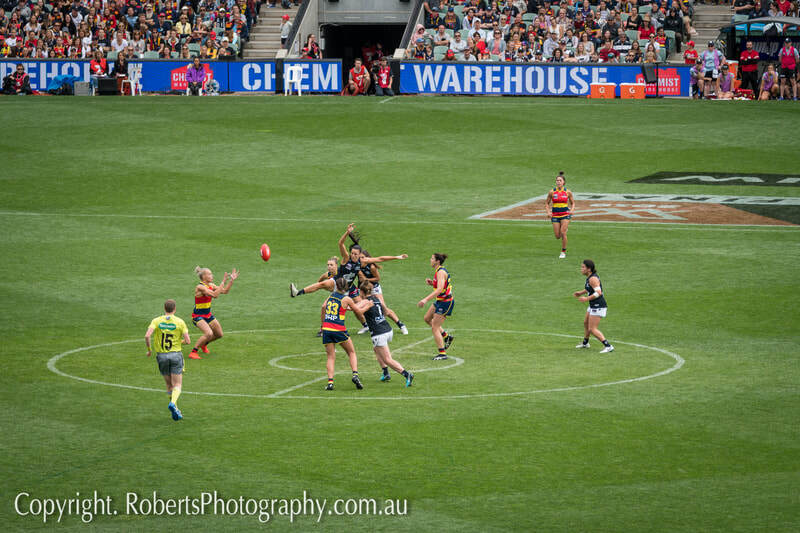 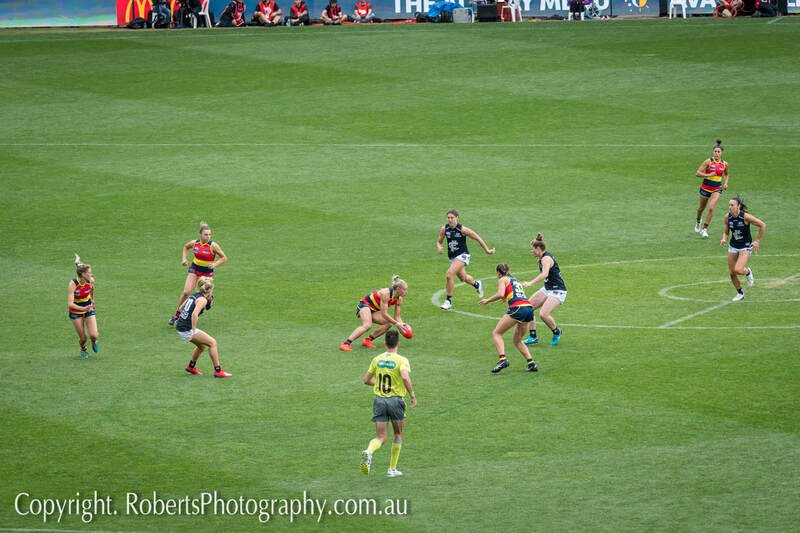 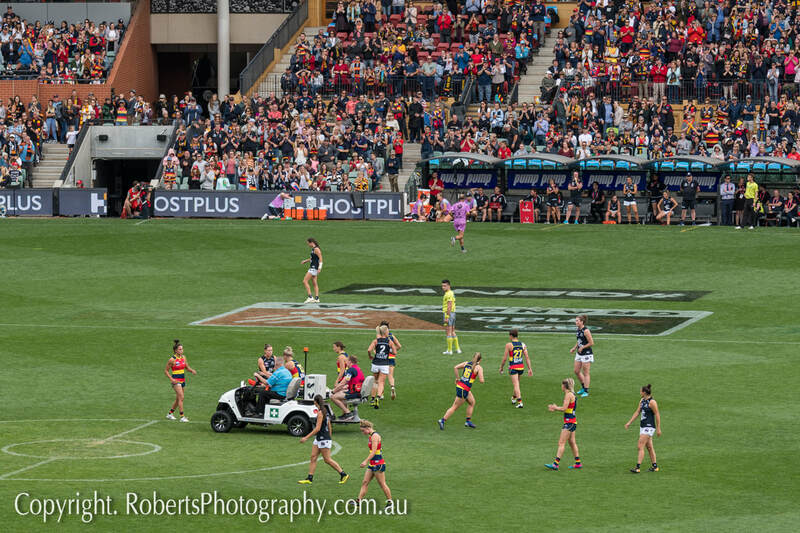 Professional Event Photography from the 2019 AFLW Grand Final. 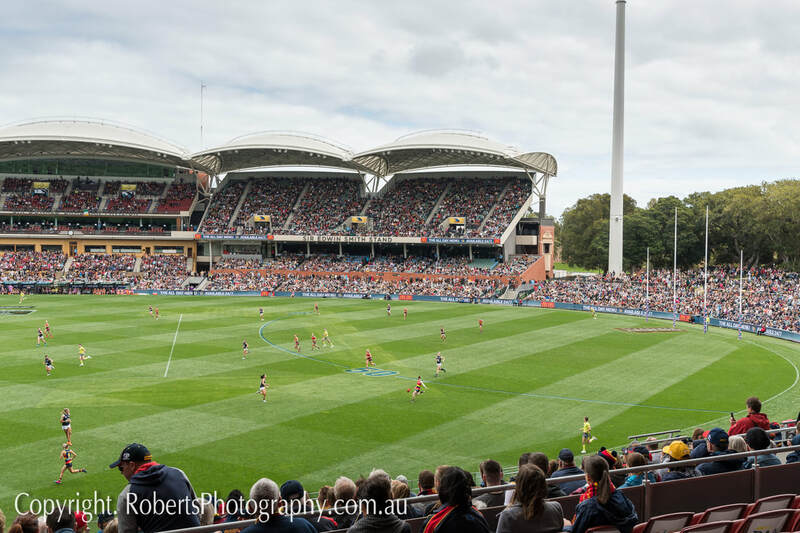 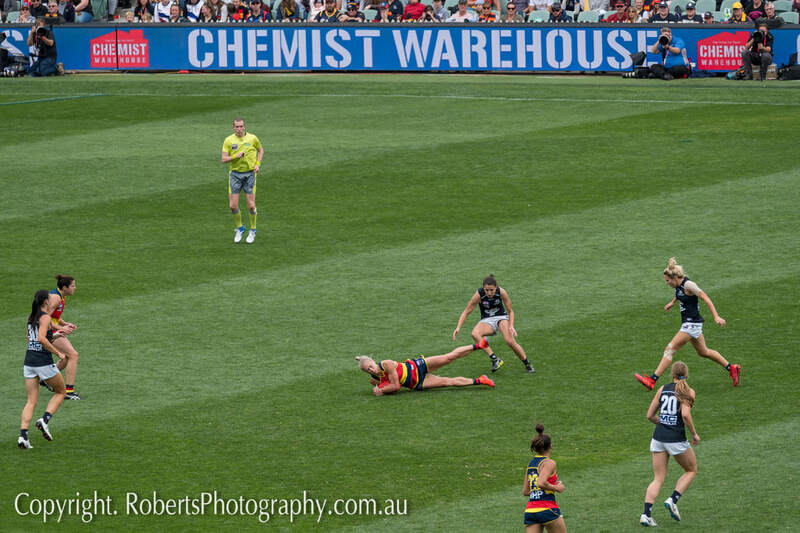 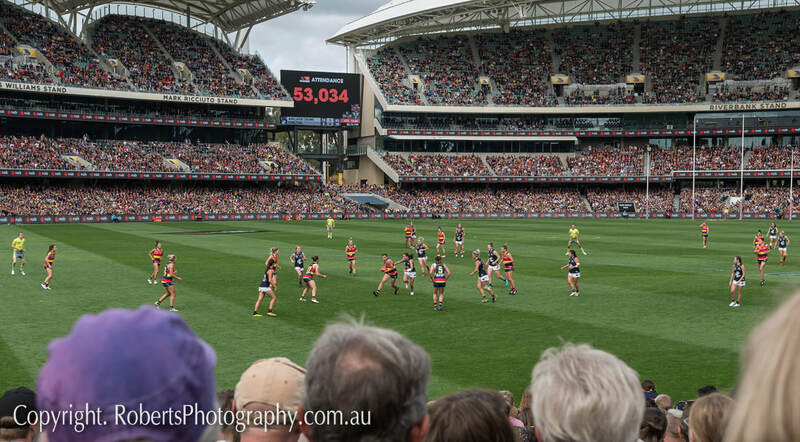 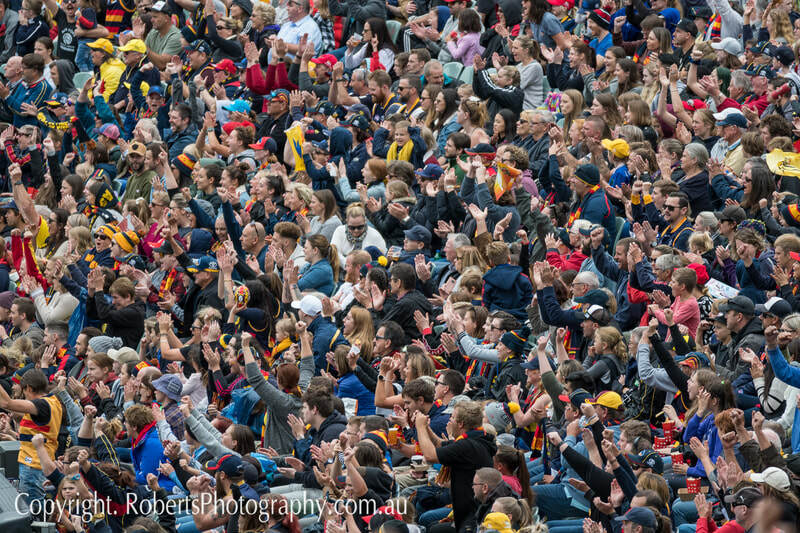 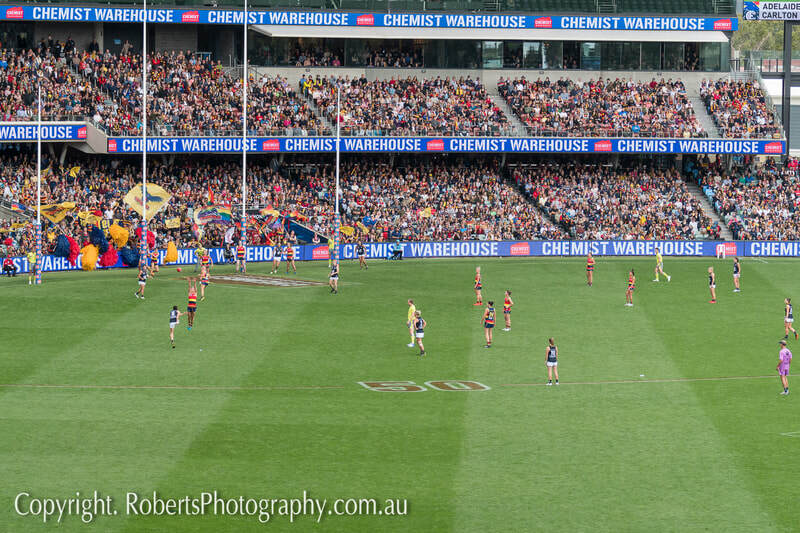 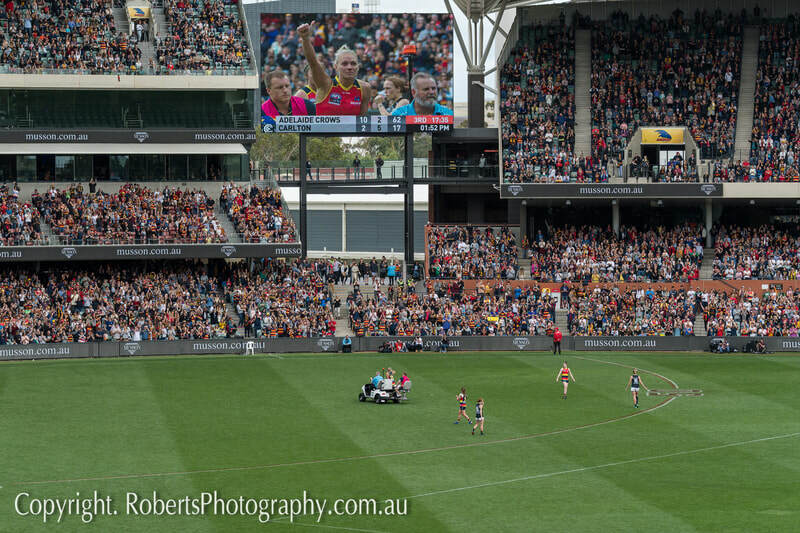 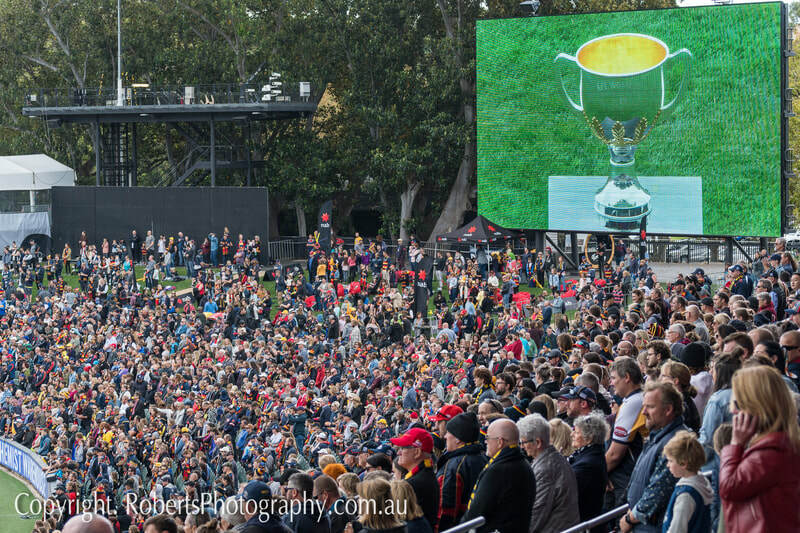 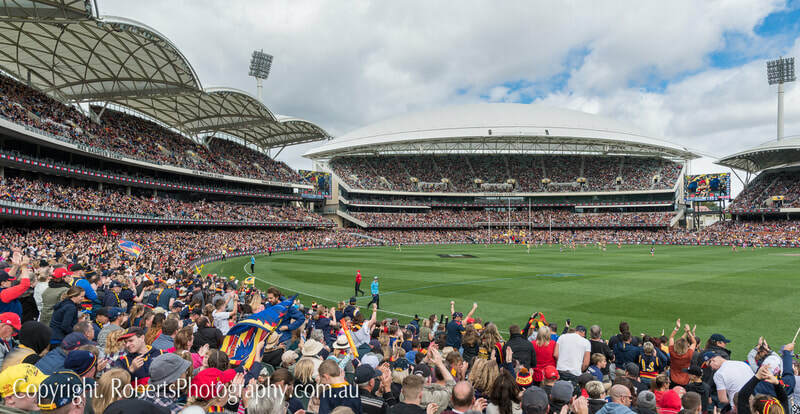 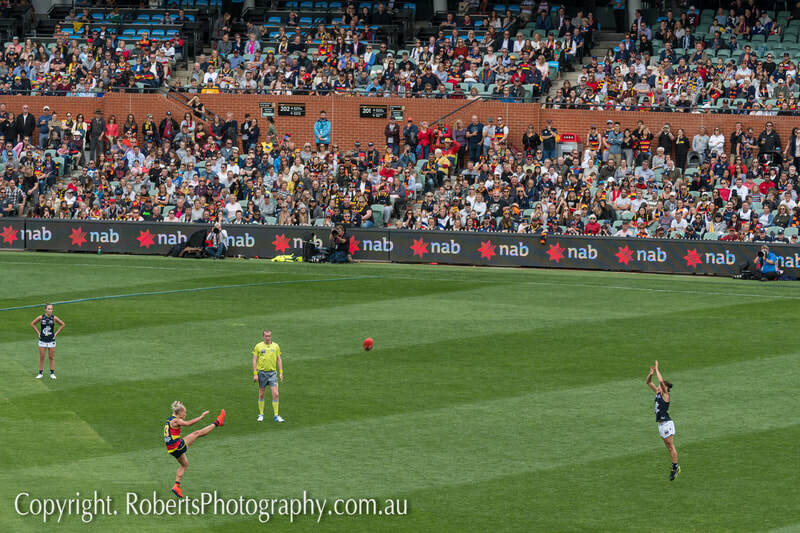 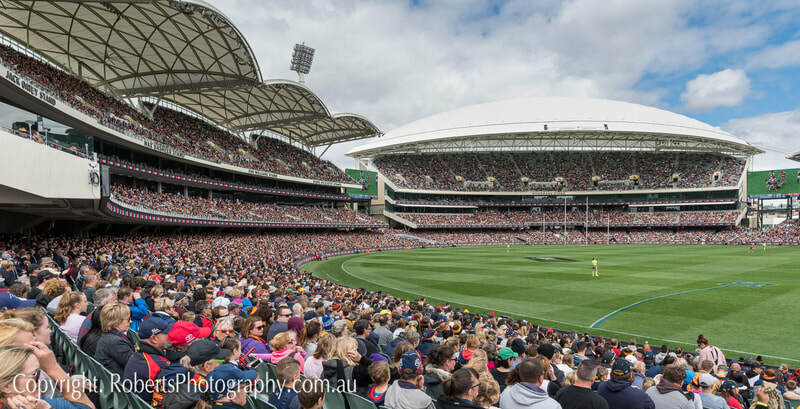 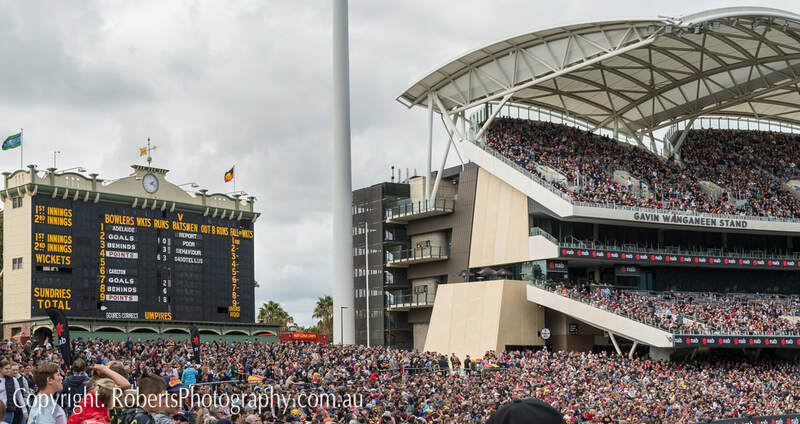 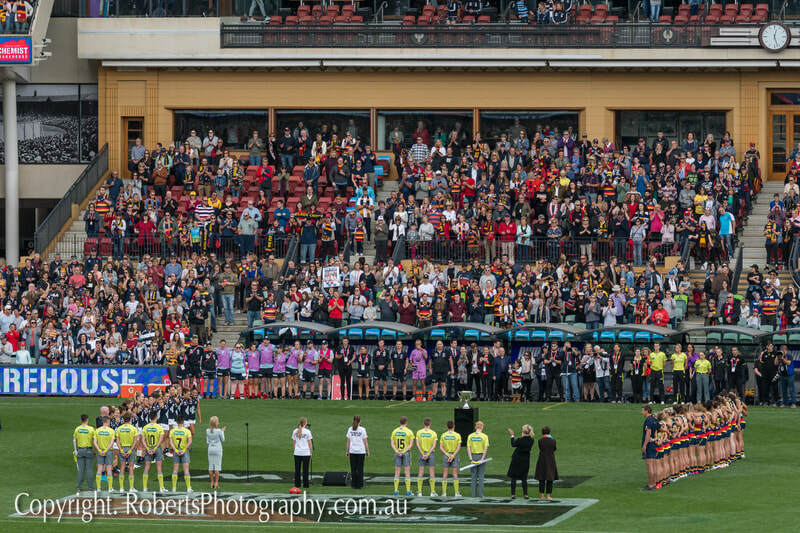 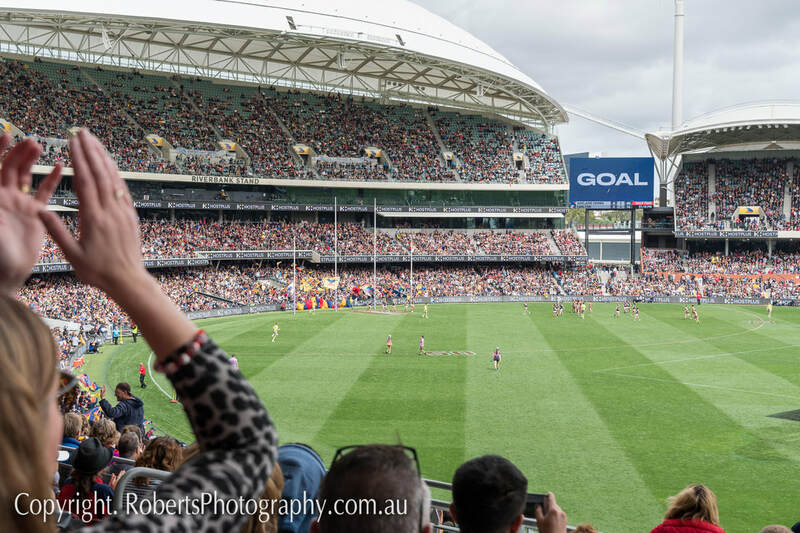 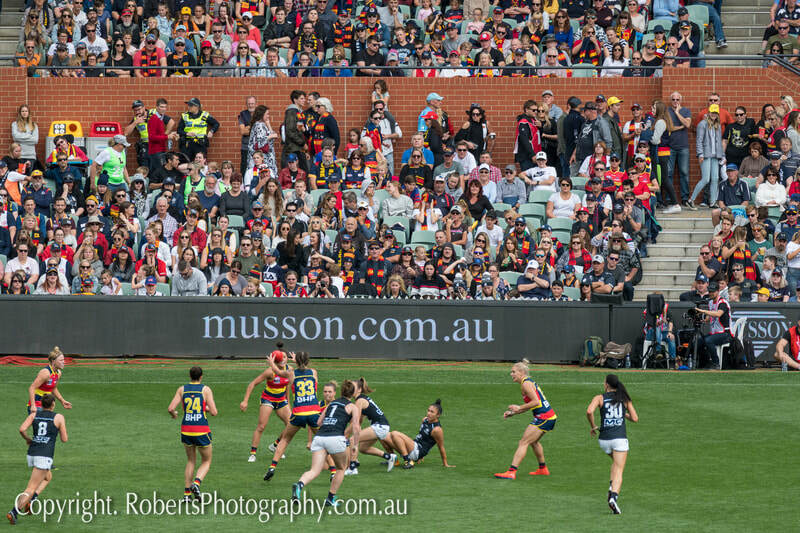 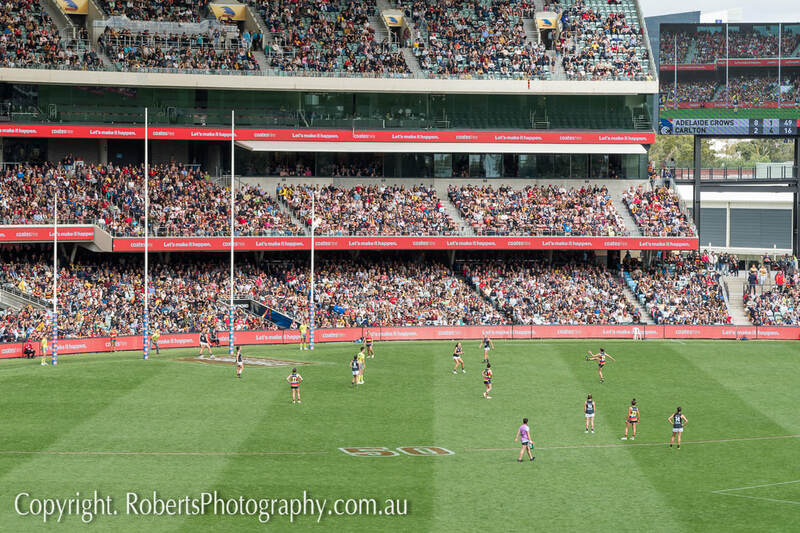 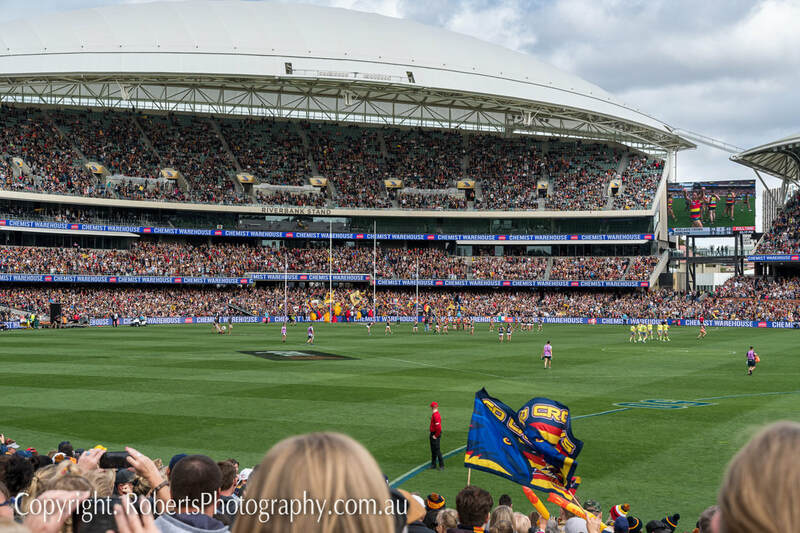 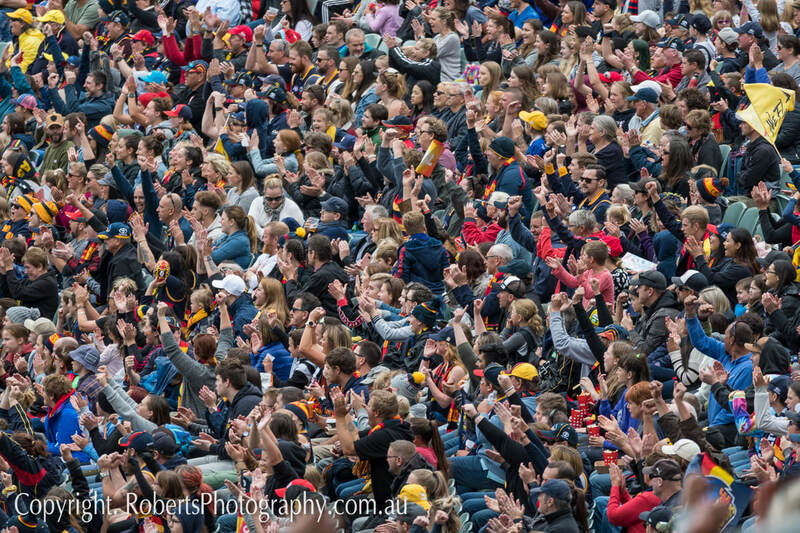 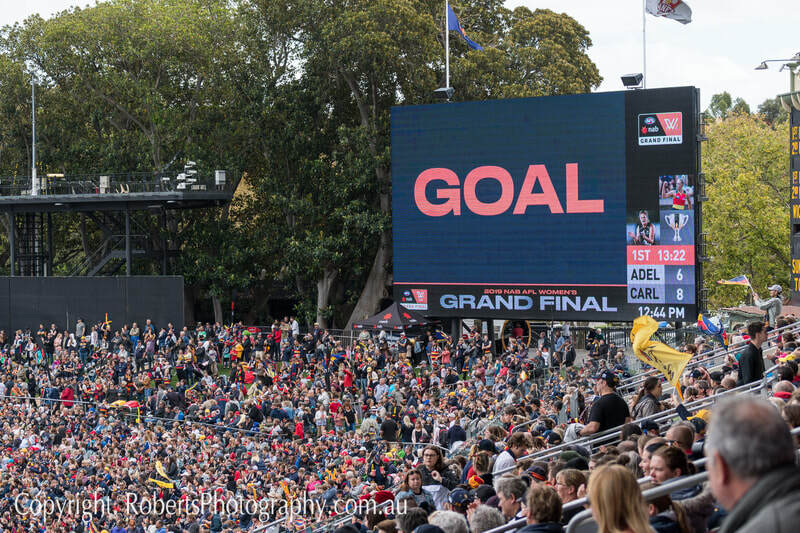 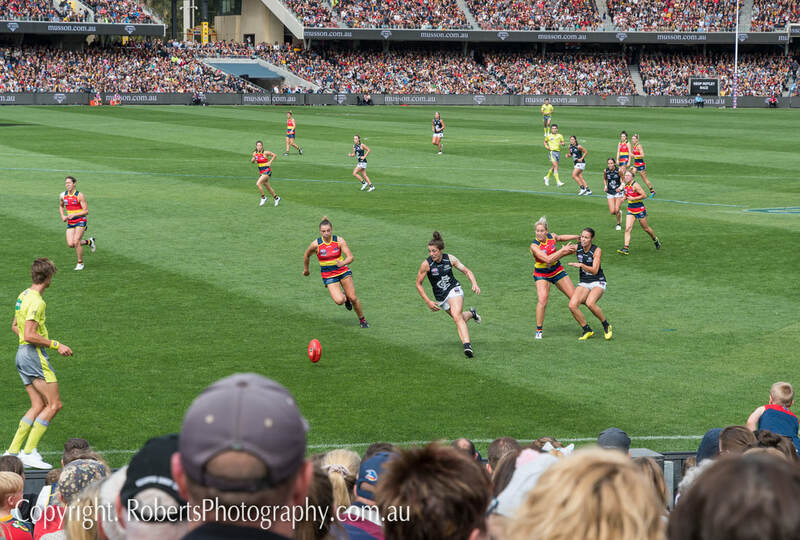 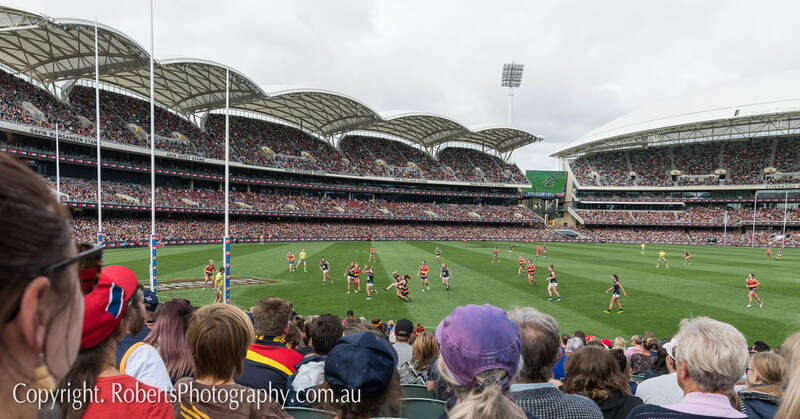 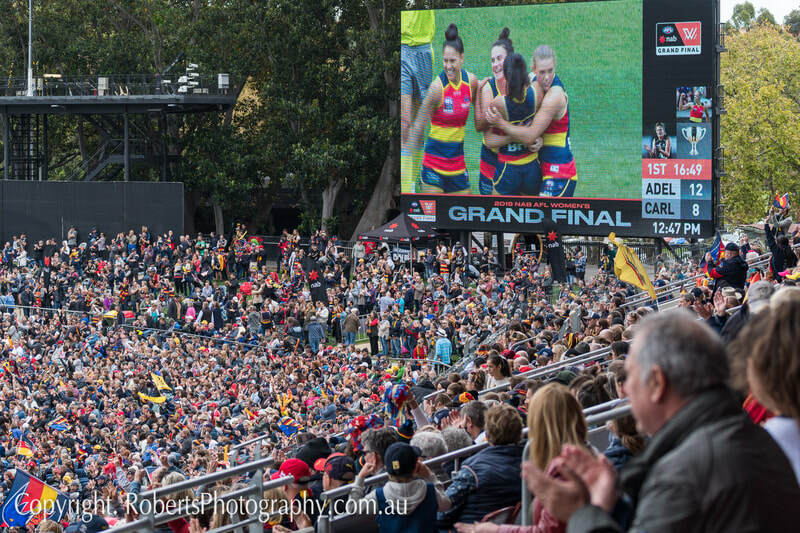 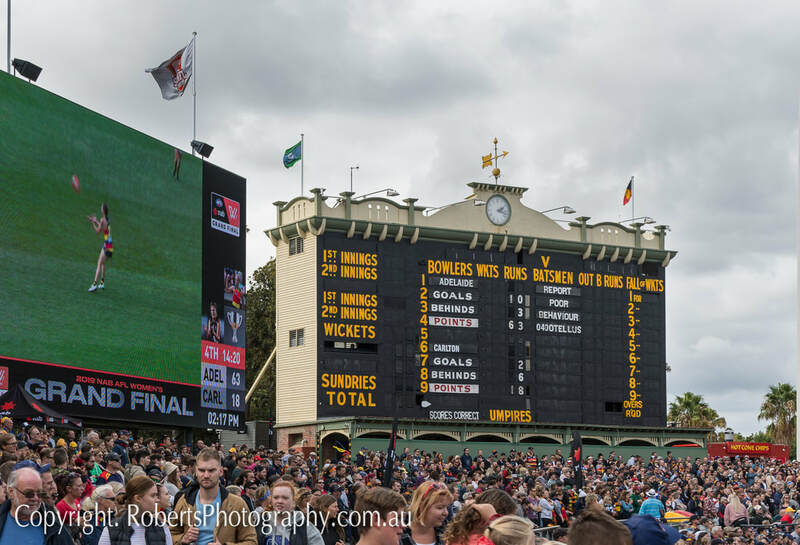 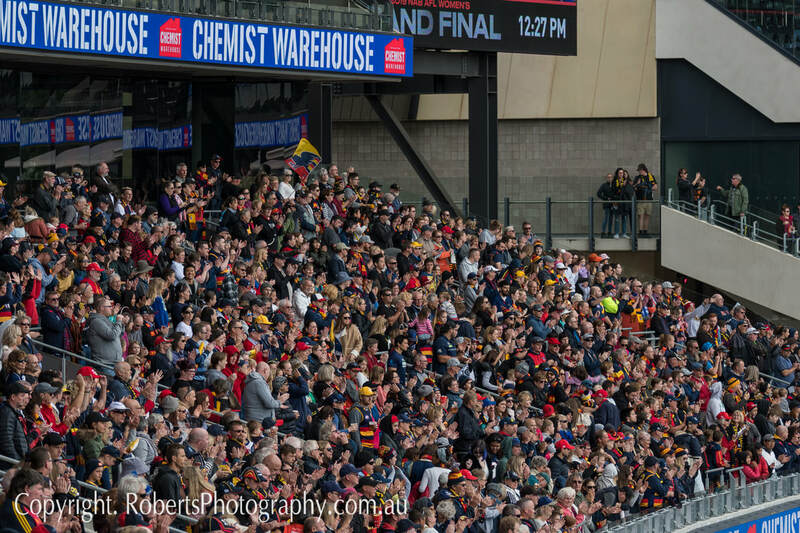 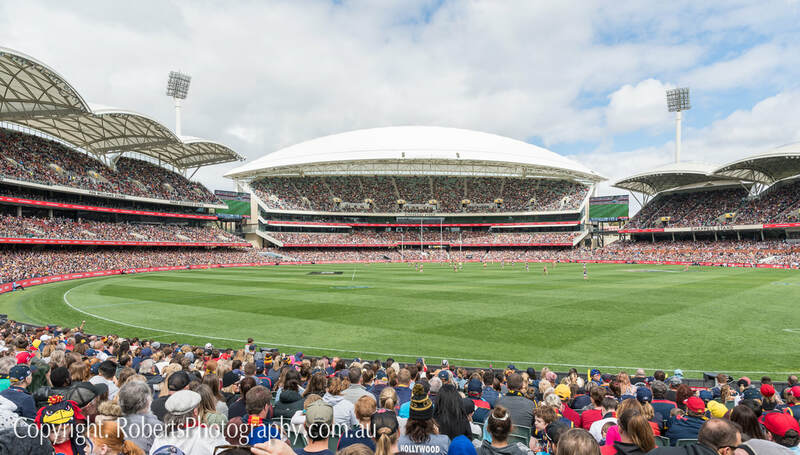 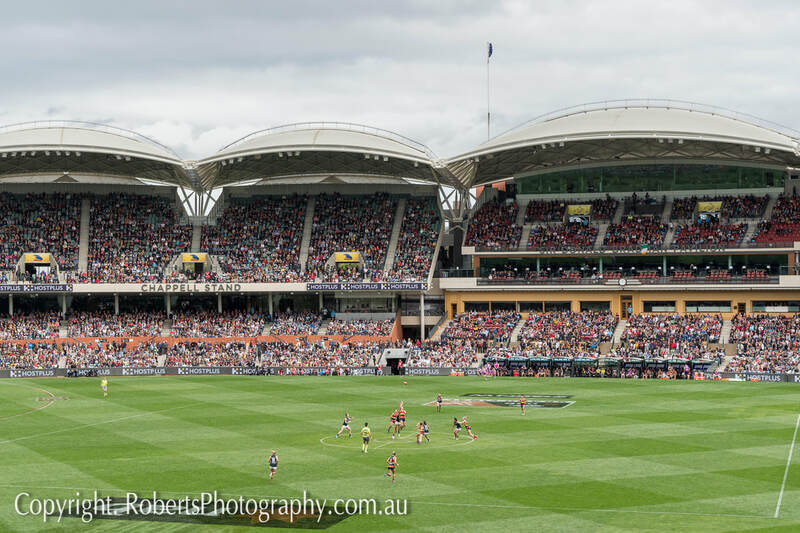 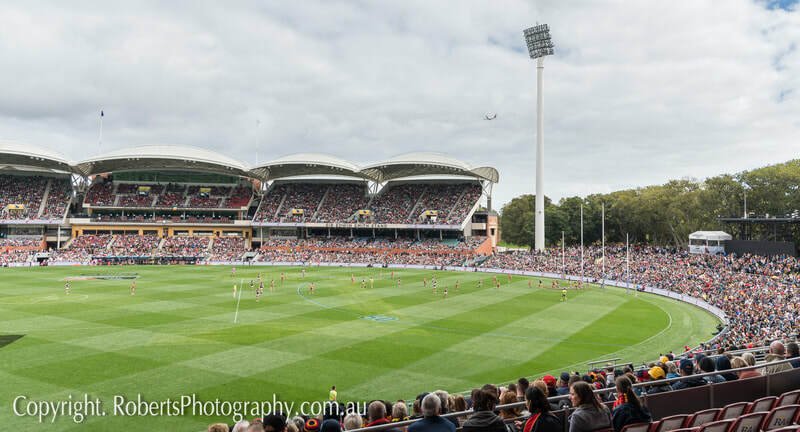 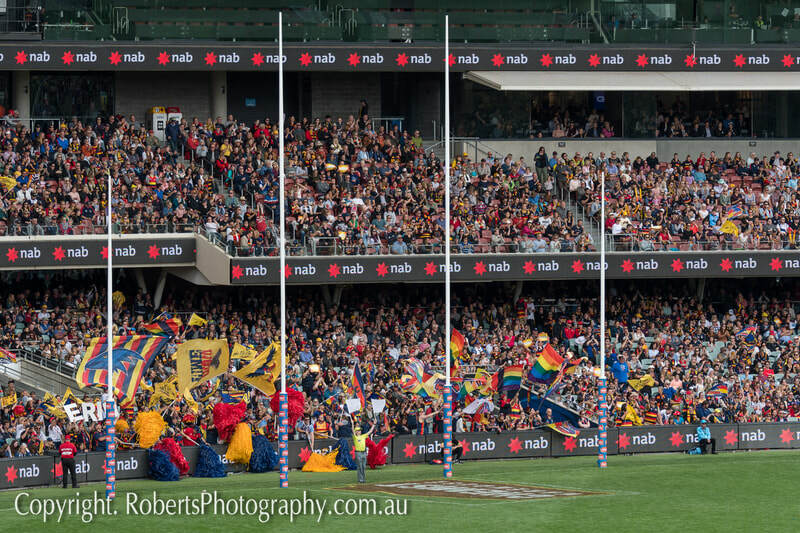 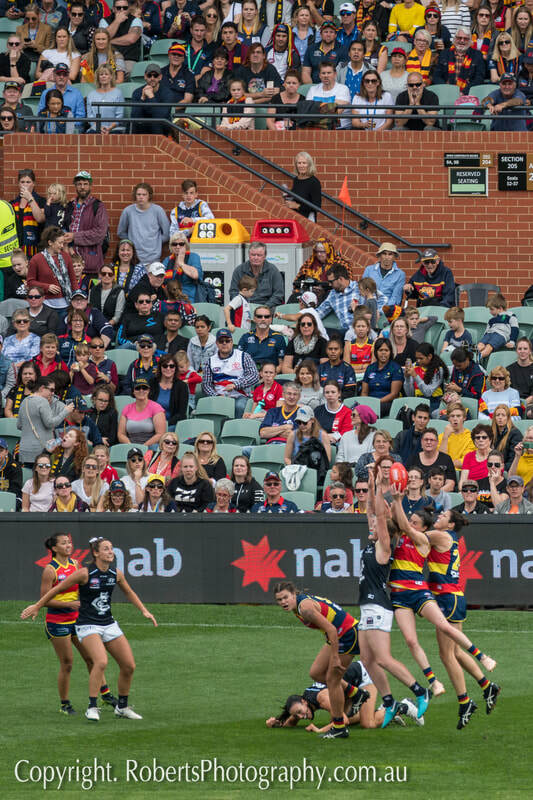 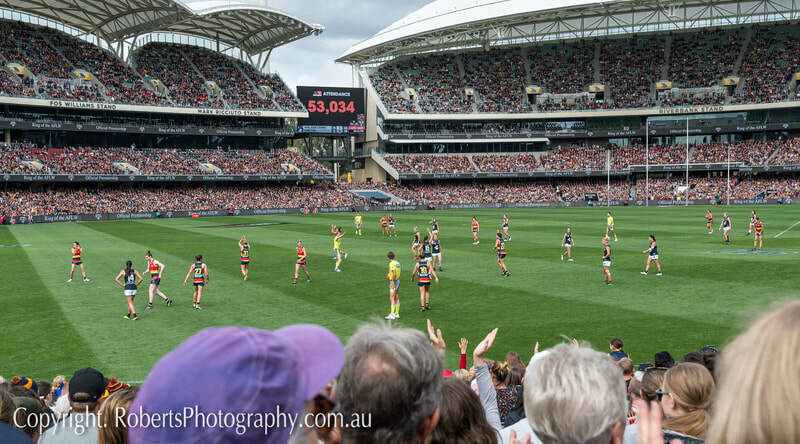 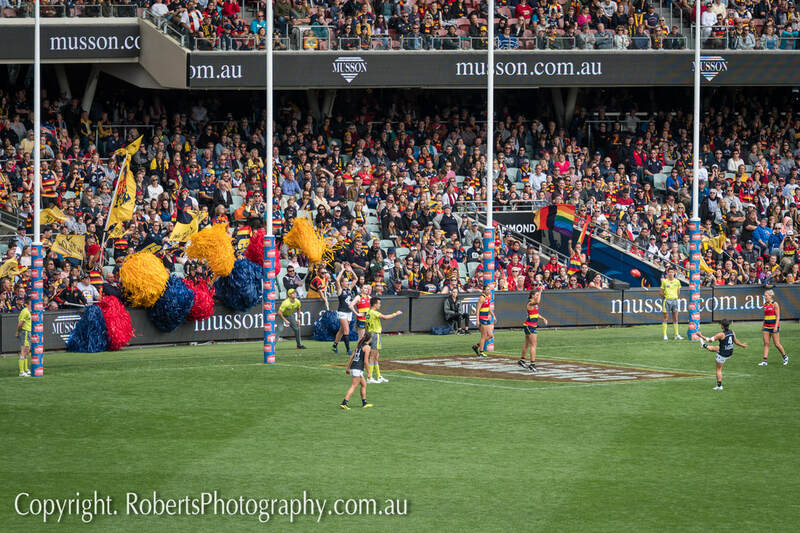 The Adelaide Crows vs Carlton, in front of a record crowd of 53,034 spectators, by Award Winning Adelaide Event & Sports Photographer Robert Monteleone. 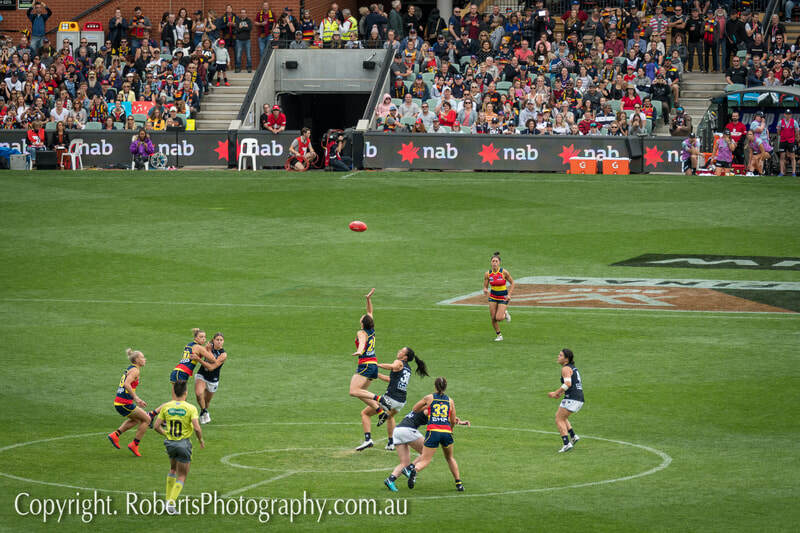 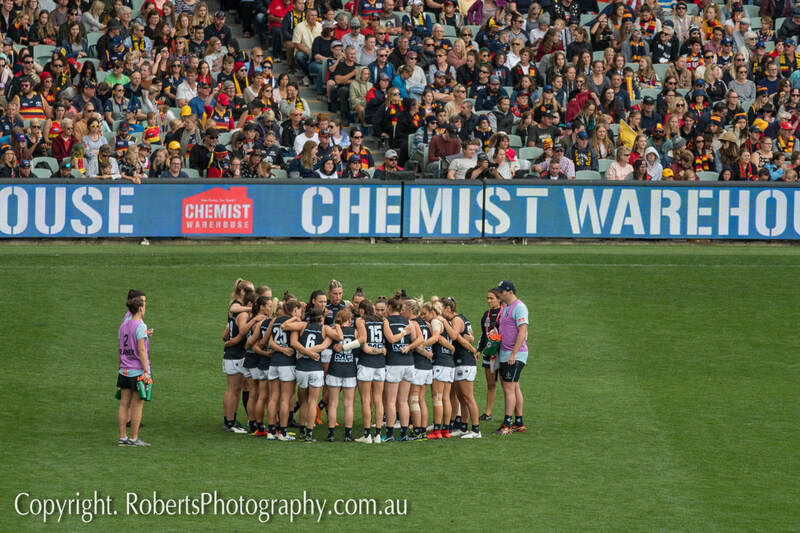 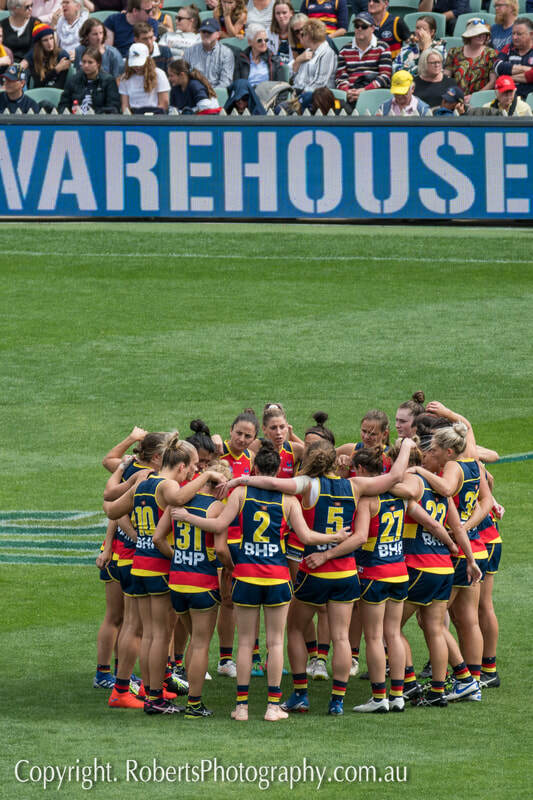 ​The Adelaide Crows created history defeating Carlton 10.3 (63) - 2.6 (18) to win the 2019 AFLW Premiership. 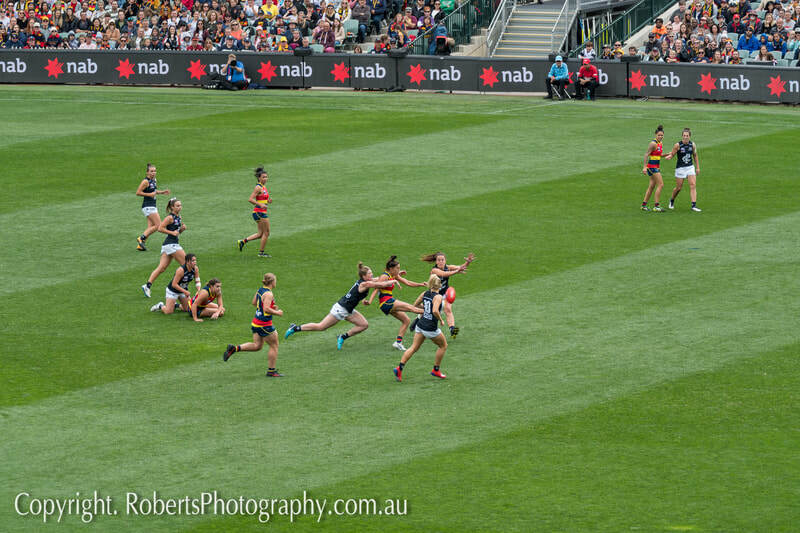 Their second AFL Women's Premiership in just 3 years! 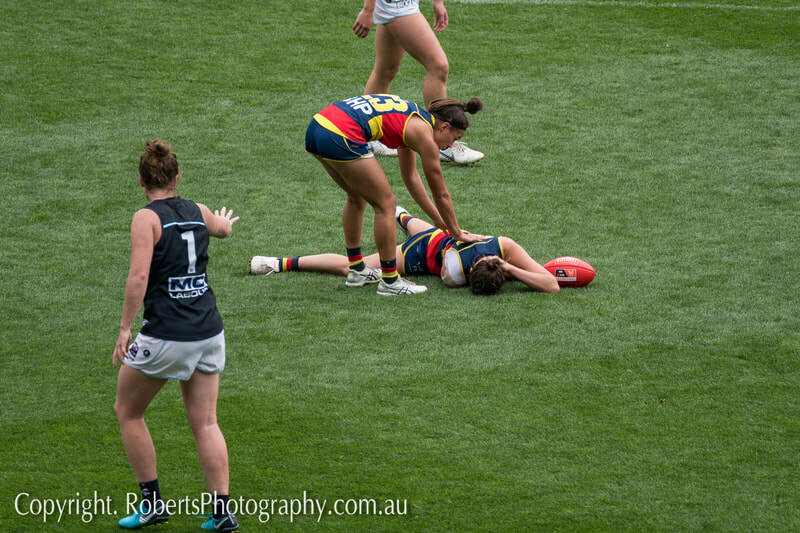 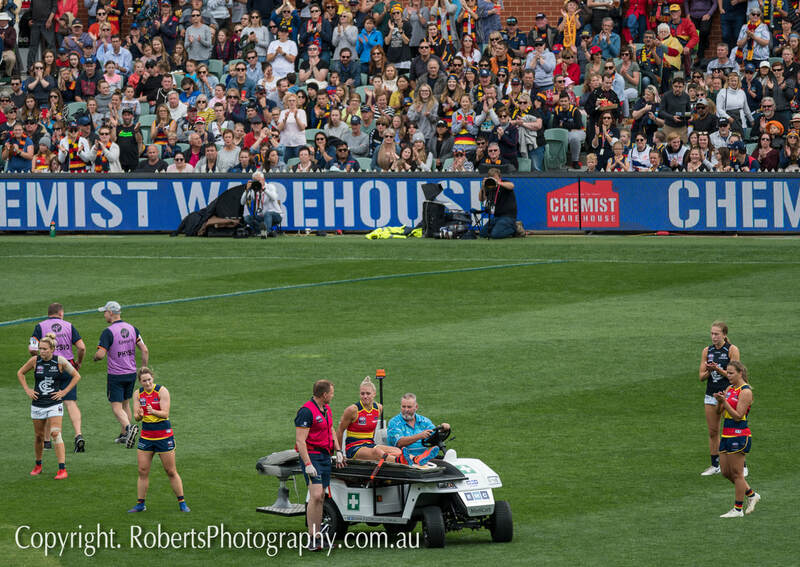 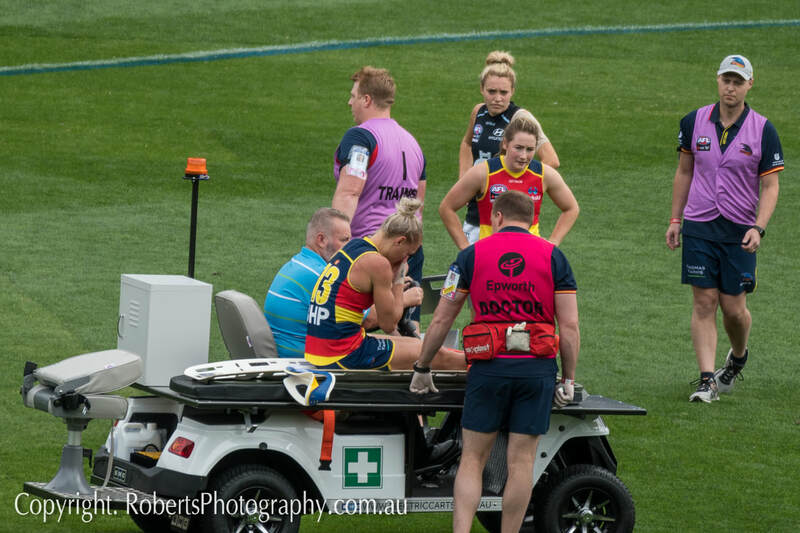 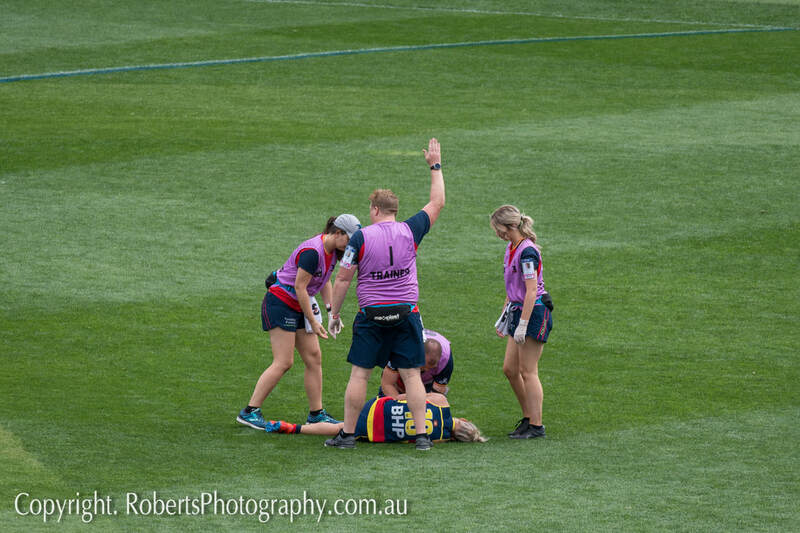 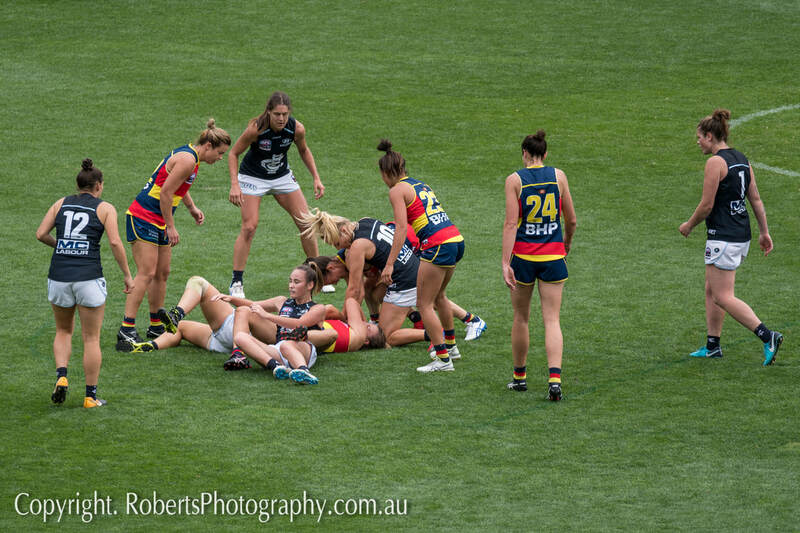 ADELAIDE’s inspirational co-captain Erin Phillips was sensational, but suffered a serious knee injury in the third Quarter. 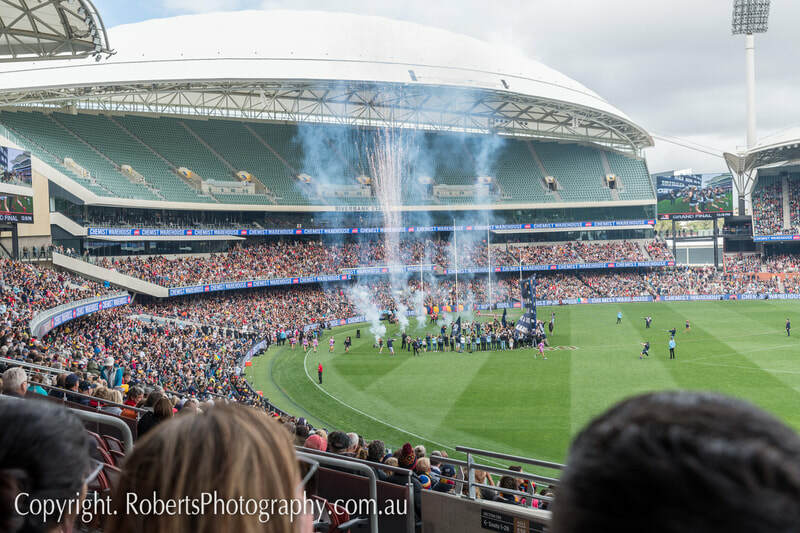 All Event Photography by Robert Monteleone.